Last week Mike and I went mini golfing. I cannot remember the last time I went mini golfing, which is pretty strange because I’m a huge fan of mini golf. I mean, miniature things are right up my alley, so even the idea of mini golf excites me. It was kind of a random thing for us to do, but we kind-of sort-of had-to because Mike’s been promising to take me mini golfing for, well, forever. See, a few years ago there were these mini golf ads that would run constantly on the radio. So every time we got in the car I’d hear ads about “the BEST mini golf in all the land.” Surprise, surprise, I got sucked into the hype and really really wanted to go. We ended up driving an hour away out to the course and, spoiler: it wasn’t the best mini golf in all the land. We didn’t even end up playing. Anyway, the mini golf place we ended up going to last week was really fun – it had a loop-de-loop, sand traps, and water features. And I got a hole-in-one! It was the most amazing thing ever. The only sad thing is, if it wasn’t captured on video, did it happen?! What does this have to do with the recipe today? The green stuff (puréed spinach, broccoli, and peas) in this lasanga reminds me of a gloriously tended golf course. Can you imagine how awesome it would be to play mini golf surrounded by lasagna? Damn, that would be both delicious and distracting. 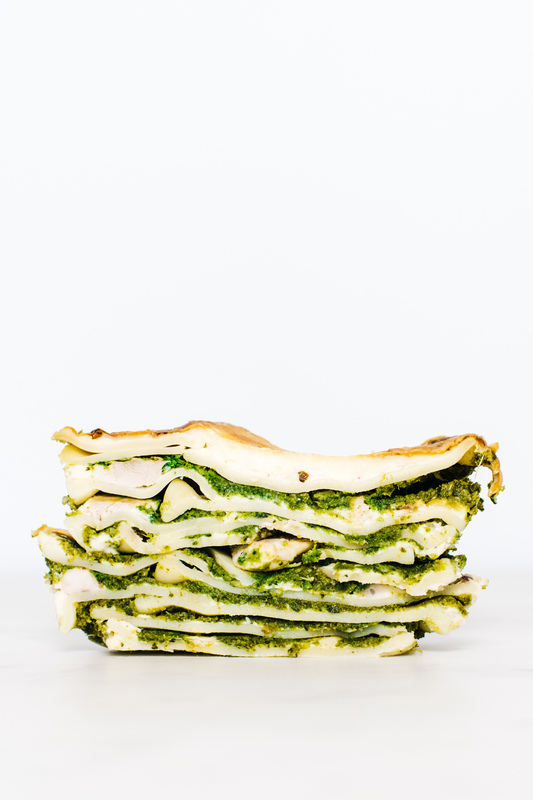 This lasagna is a winner: super spring-y, chockfull of veggies, chicken, and cheese. PS – Thoughts on mini golf? Windmill? No windmill? 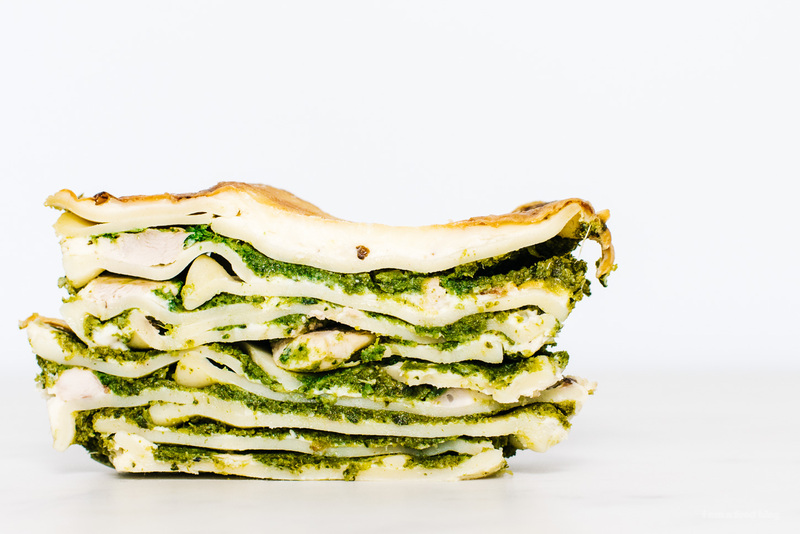 This is a light and spring-y lasagna full of green. I added in some chopped chicken for an extra hit of protein, but you can easily make this vegetarian by omitting the chicken and chicken stock. Start off by making the green sauce. Bring a large pot of water to a rolling boil. 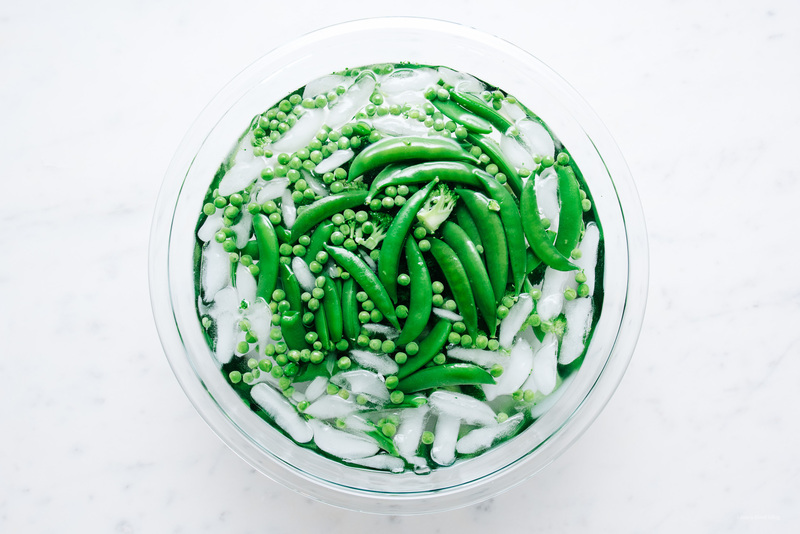 While it’s coming to a boil, prepare a large ice bath to shock the vegetables. This helps them stay green. Pop the garlic in the water and let it cook while you’re blanching. 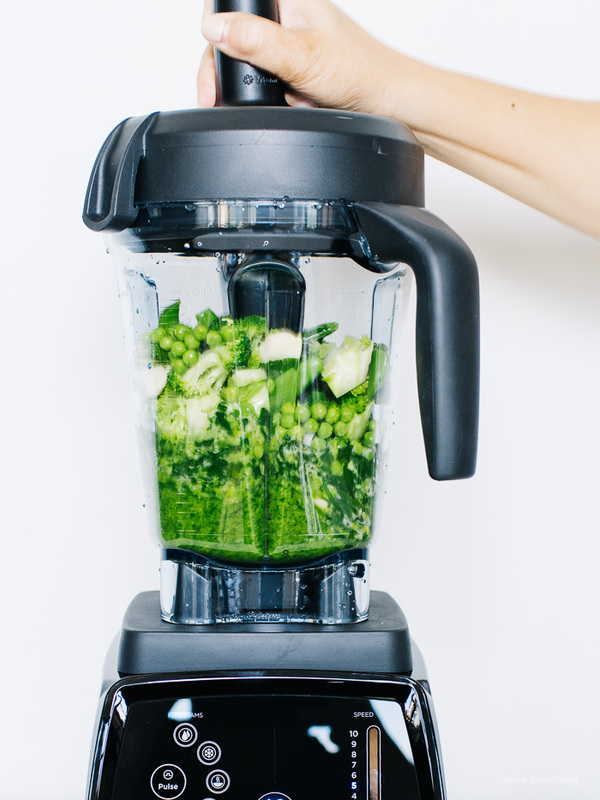 Blanch the vegetables in batches: 1-2 minutes for the broccoli and peas, 30 seconds for the spinach. Immediately plunge into the ice water to stop the vegetables from cooking. When cool, drain well. 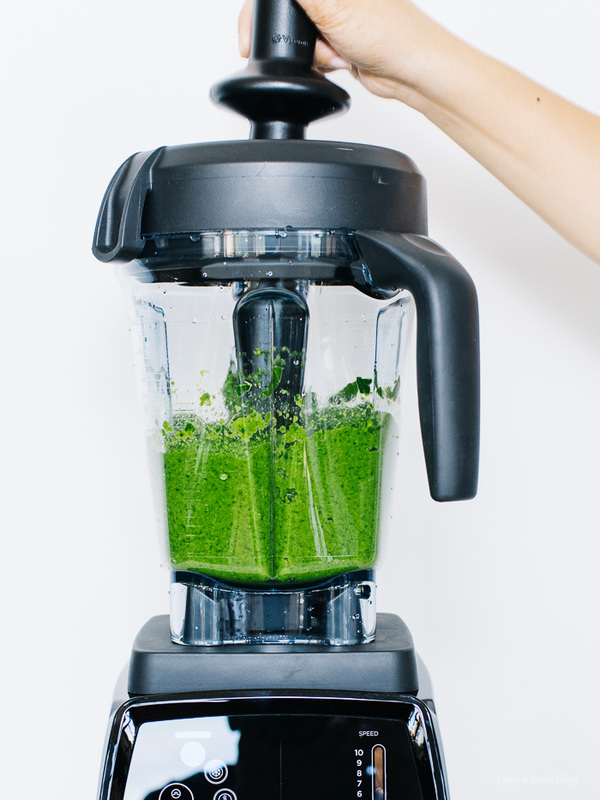 Place the vegetables and garlic in a food processor or blended and blitz until smooth and uniform. If needed, add a touch of chicken stock to thin out. Taste and season with salt and pepper. Set aside. While the noodles are cooking, make the cheese sauce: Over medium heat, in a large sauce pan, melt the butter. Add the flour and stir constantly over medium heat for about 3-5 minutes, until smooth. 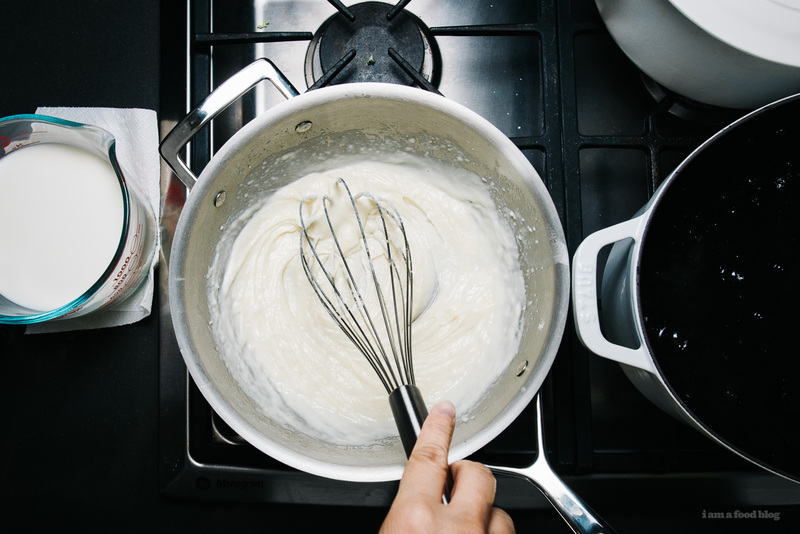 Pour in half of the milk in a thin stream while whisking. When smooth, add the rest of the milk. Keep on medium heat and whisk for about 10 minutes, until the sauce thickens. Stir in the cheese and season with salt and pepper to taste. 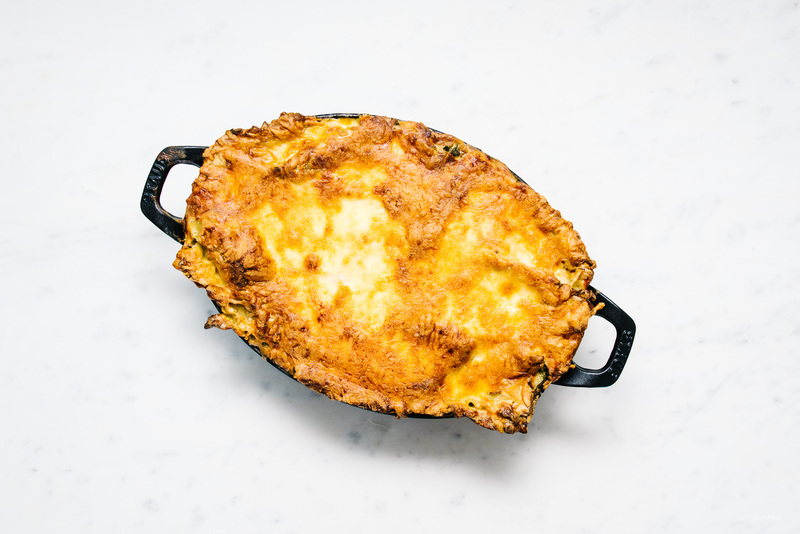 Assemble your lasagna: In an oven-proof casserole dish spread out a generous amount of the cheese sauce, then the green sauce. Top with some chicken and a layer lasagna noodles. Repeat until you have used up all of the noodles and sauce. End with a cheese layer, topping with the remaining shredded cheese. Bake for 40 minutes or so, or until the cheese is melty, bubbling, and a deep golden color. Let sit for 10-15 minutes before slicing in an enjoying! Note: You may end up with extra sauce – it’s delicious tossed with regular pasta and then baked, or just tossed and eaten. omg this lasagna looks so pretty and good. I need. 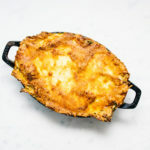 This lasagne looks great and nutritious! I’ve not heard of lasagne noodles. Are they thick udon like noodles? Where can you get them from? This looks heavenly! Need to try and make this! Looks great, Stephanie! I love all the green…and all the cheeeeese. Wow, this looks insanely luxurious and springlike. The pureed green veg is a brilliant idea! Wow!! That’s delicious….filling and nutritious. One more thing for you steph!! … i couldn’t able to see both of the blender pictures at the time wgen i’m reading your post…first one i visible on my mobile but i found the second one when i accidently swiped right…i recommend you to use GALARY feature of wordpress when you add more than one picture at a time…this will show up both of the pictures beautifully..
Oh my gosh. This looks amazing. Can’t wait to try!! I love mini golf too. We live in Texas, so a lot of the mini golf places are indoors – they’re called alien or monster golf. They’re usually played under a black light, and everything’s neon colored. It’s a lot of fun! This is a whole pan of comfort and perfect for these rainy spring nights we’ve been having. Added it to my weekly round-up, so good!! The green does look like a golf course!! 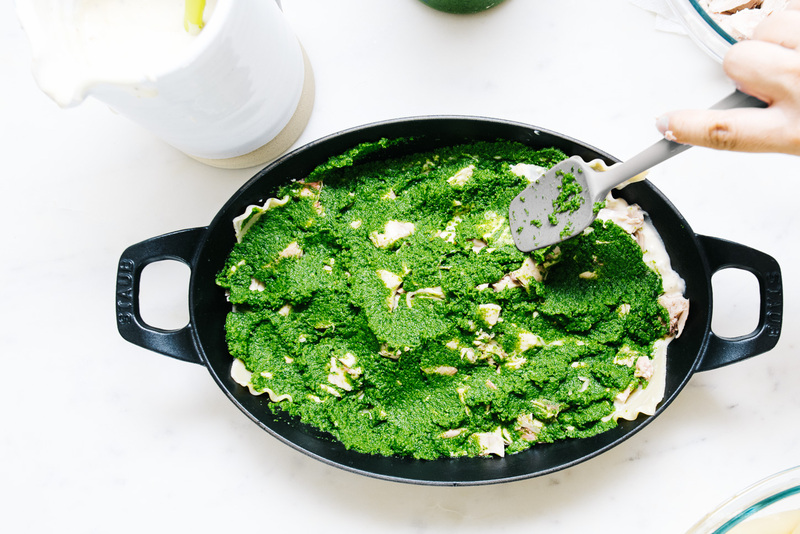 Also, I’m a big fan of whenever you can hide veggies under cheese and pasta–soooo this recipe is a total winner to me :) I’m a minigolf master so I love all sorts of fun new courses. There’s an indoor one here near me that’s glow in the dark – it’s a little wacky but I kinda like it. Have a great weekend! Hello! Do you think i could use frozen broccoli here? Should be fine, yes? Would you thaw beforehand? hi samantha! yes, i think frozen would work. make sure you thaw and squeeze out the excess water.